Treat dull and lacklustre locks to the Alterna Caviar Infinite Color Vibrancy Serum; an advanced leave-in treatment that works to infuse hair with moisture and nutrients to boost radiance and recharge color vibrancy. 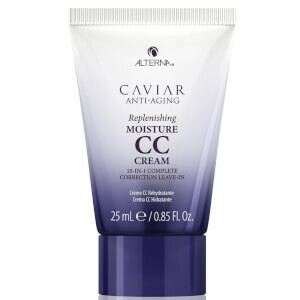 Shielding hair from dulling UV damage and environmental toxins, it’s fortified with anti-aging Caviar extract to help prevent fading and weakness. Expect glossy and revitalised hair with long lasting color.